SuperData has released their full review of the gaming industry results from 2018 and revealed how much revenue some of the most popular games made in 2018. There’s a separate list for revenue earned from Free to Play games and paid games. In the free to play category, Fortnite was the champion with over $2.4B earned in 2018 through battle pass and cosmetic revenue. 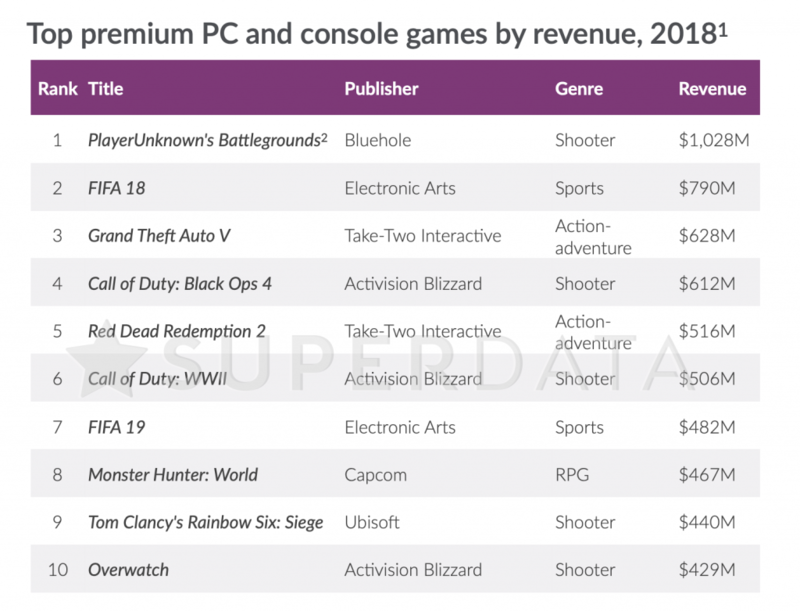 In terms of paid games, two Call of Duty games appeared on the top 10 list in terms of revenue earned throughout 2018 across consoles and PC. 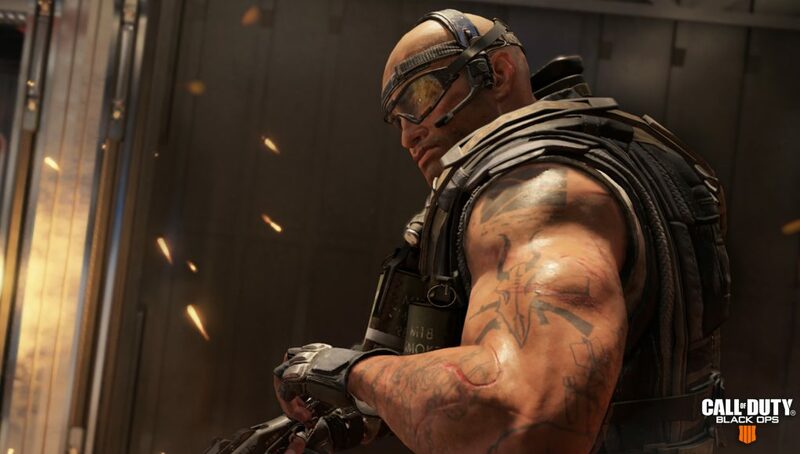 Call of Duty: Black Ops 4 came in at #4, earning $605 million in 2018. Call of Duty: WWII also appeared on the list at #6 earning $506 million 2018. Combined, Call of Duty titles generated over $1.1 billion in revenue across consoles and PC in 2018. SuperData also stated that Activision’s decision to include battle royale mode in Black Ops 4 paid off as the company saw player base in Black Ops 4 roughly the same as Call of Duty: WWII during the launch period. Call of Duty: WWII remains one of the best selling Call of Duty games of this generation. The decision to give Call of Duty: Black Ops 4 a battle royale mode paid off for publisher Activision Blizzard. The game’s launch-month player base was roughly the same as predecessor Call of Duty: WWII on console, but PC user numbers more than doubled (1.4M versus 594K).